Jojo first approached WISE Employment Rosebud after being out of work for one year. After being unemployed for that period of time, Jojo was starting to fear that she lacked the skillset and experience to find a job that she would truly enjoy. “I was starting to feel a bit down and flat whilst I was out of work, which I guess could happen to anyone. After some time, I decided to get some extra help and that’s how I connected with WISE Employment,” explained Jojo. Jojo was connected with Candidate Officer, Allison who was there to guide and support her in finding a suitable role. Not long after connecting, Allison presented a potential job opportunity to Jojo, and that very same day she went for the interview. “At first, I didn’t think I was prepared, I hadn’t been interviewed for over 20 years! I was so scared, but Allison was there to encourage me and gave me the confidence to go ahead with the interview,” said Jojo. 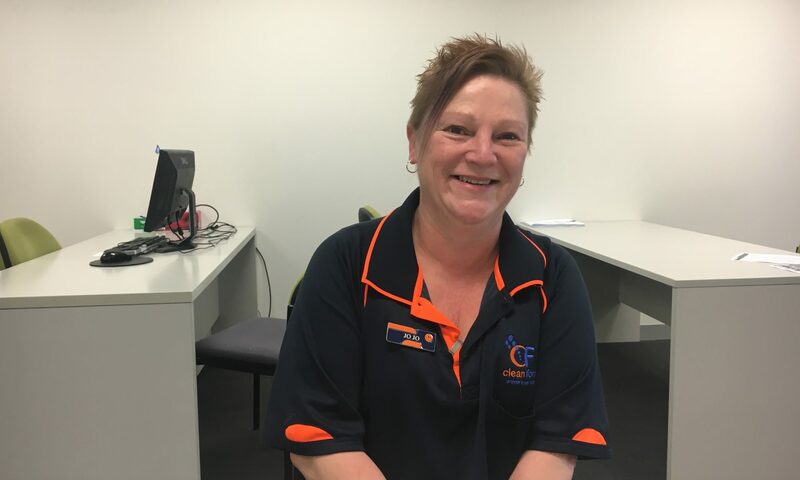 Clean Force, a cleaning organisation that employs people who suffer from a mental illness, a disability, those living in social housing or recently settled refugees, were looking for new employees. Jojo’s determination and courage really stood out and that’s what landed her the job. Jojo’s manager, Frank, said he’s been very impressed with the work Jojo has been delivering. “Never in 30 years have I received such positive feedback in regard to an employee. People regularly leave her love heart notes thanking her for her thorough work,” Frank explained. Jojo went on to explain that working with Clean Force is wonderful and that the role has given her a new-found confidence.